This litter is spoken for. Please email to inquire on future plans. A pairing of 'dual-purpose' dogs with pedigrees steeped in type, sound temperaments, natural gundog ability, and longevity . . . we anticipate typey and livable, yet driven working pups, sound in body and mind. Check out the puppy gallery. View the Stitch x Lilah pedigree. OFA: 'Good' hips, normal elbows and patellas. 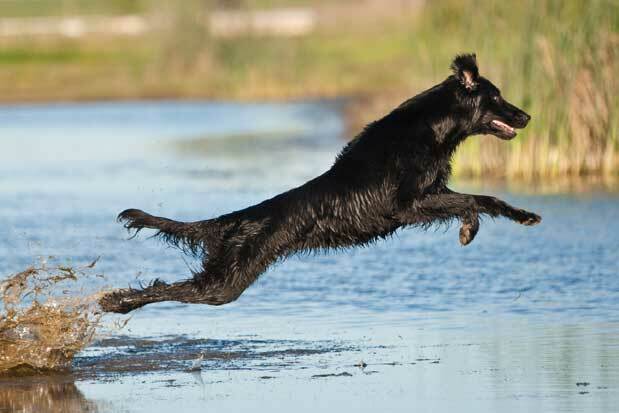 Owned and loved by Sophia Fanous of Affinity Flatcoats, Stitch is a perpetually happy fellow with extraordinary athletic prowess. Armed with an endearing personality, wide-mouthed smile, and irresistible expression, Stitch often finds his way into open laps for a snuggle. Though bombproof in any situation and friendly to all he meets, Stitch’s great desire to work makes him especially attentive to his human Mum. A highly trainable dog of esteemed intelligence and natural gundog talent, Stitch earned his performance titles with limited training. Likewise, Stitch quickly finished his Canadian show championship with 4 and 5 point majors, and won a JAM at the 2009 Canadian Specialty. It is no wonder that Stitch has found easy success in performance venues and the breed ring, as his pedigree includes several renowned American field dogs, English gundogs, and generations of bench champions. Stitch is a wonderfully balanced, moderate dog with clean movement and powerful reach and drive. His athletic yet substantial silhouette sports a level topline, correct tail-set, superb depth of rib, and a long and strong neck. A typey headpiece and beautifully glossy coat complete the package. As my ‘Jekyll & Hyde’ dog, Delilah is a sweet and quiet house dog who explodes into action when set to task. Utterly adaptable and friendly to all, Delilah is a ‘go anywhere, do anything’ kind of dog with an adventurous spirit and keen sense of humor. 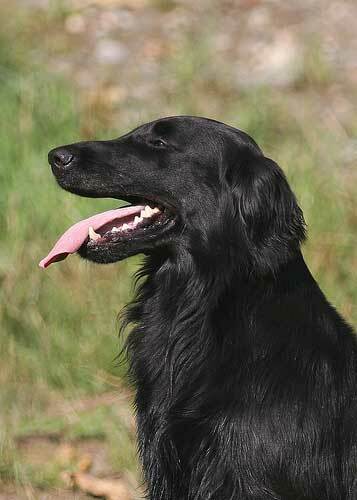 A quick study and highly biddable dog loaded with drive, Delilah is pleasure to train in any venue. 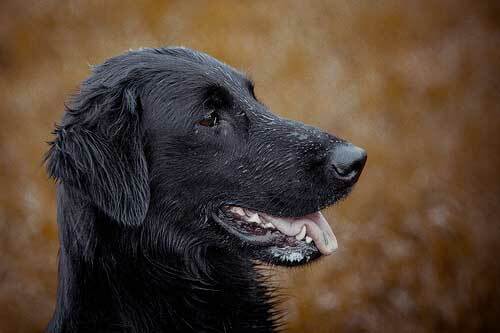 However, as her pedigree would suggest, Delilah’s full working potential is best witnessed when hunting. An avid and soft-mouthed retriever, and a bold water dog, Delilah proved her worth in the duck blind at a very young age. 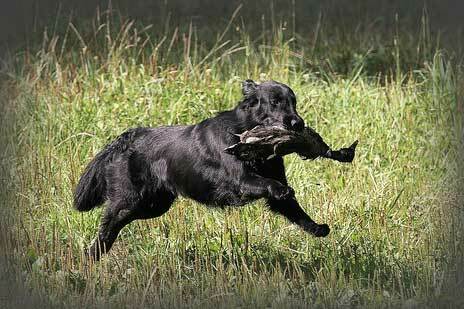 In the upland field, Delilah naturally works a methodical quartering pattern, and sports a dramatic, airborne flush. Despite her insatiable bird drive, Delilah is eager-to-please and attentive while on the hunt. Complementing her athletic spirit and endless perseverance, Delilah has an elegant build not lacking in power. With superb angulation in harmony with her length of loin, a level topline, and a strong front, Delilah is a balanced and flawless mover in all directions with an exceptionally glossy and easy-care coat. With hunting season behind us, Delilah will return to the hunt test circuit for her senior hunter, along with the breed ring for the single point needed to finish her bench championship . . . who knows, we may even fit some agility into her busy schedule. Read more about Delilah.